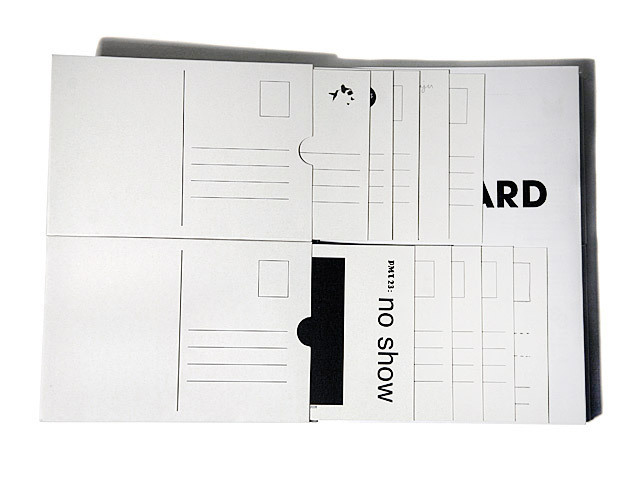 Postcard is the very first major publication conceived, compiled, written and designed by Agathe Jacquillat and Tomi Vollauschek at London-based design studio FL@33. 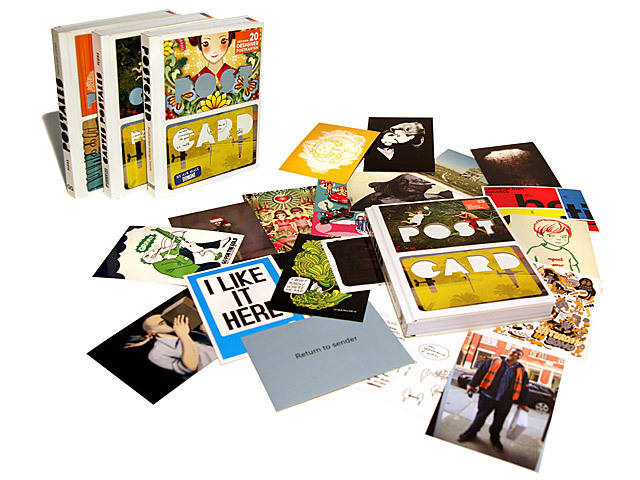 ___ The original English edition of Postcard was released in September 2008 by Laurence King Publishing. 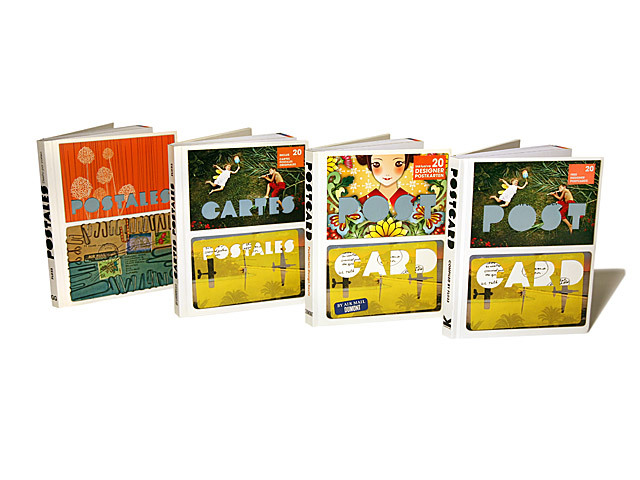 Several foreign language editions were also released by their international partner publishers including a French edition by Pyramyd Editions entitled Cartes Postales, a Spanish edition by Gustavo Gili entitled Postales – Diseño por correo and a German edition who kept the original English title Postcard (but added the German subtitle Postkarten-Design heute) by DuMont – Literatur und Kunstverlag. The book comes in an exciting packaging FL@33 developed back in February 2007. 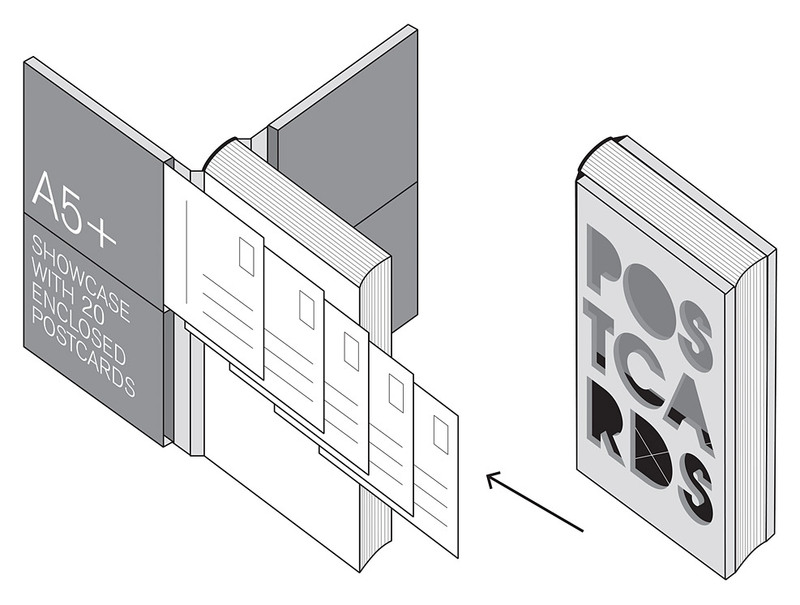 Its die-cut cover reveals details from the 20 commissioned postcards contained in pockets behind the cover. ___ There are over 380 different versions of the front cover alone – due to the different possible combinations of the 20 enclosed cards that are inserted in random order. ___ FL@33 commissioned postcards to be enclosed by Daniel Eatock, Juju's Delivery, Jeremyville, 123Klan, Geneviève Gauckler, Catalina Estrada, Marion Deuchars, Hellovon, eBoy, Gregory Gilbert-Lodge, Supermundane, Anthony Burrill, Tabas, Rinzen, Andrzej Klimowski, Yorgo Tloupas, Mark Adams, Elisabeth Lecourt, Vaughan Oliver at v23 and FL@33 also created one for the series. 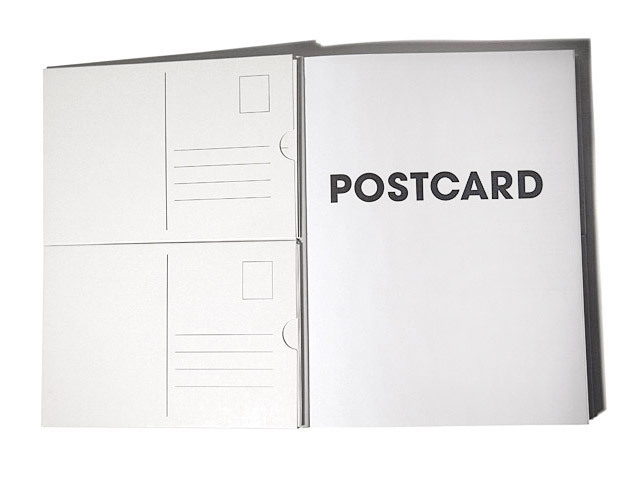 It's the only book to document recent postcard design, this will appeal to anyone interested in art, design and graphics and taps into the trend for postcards – popular in art, advertising and as limited editions for collectors. 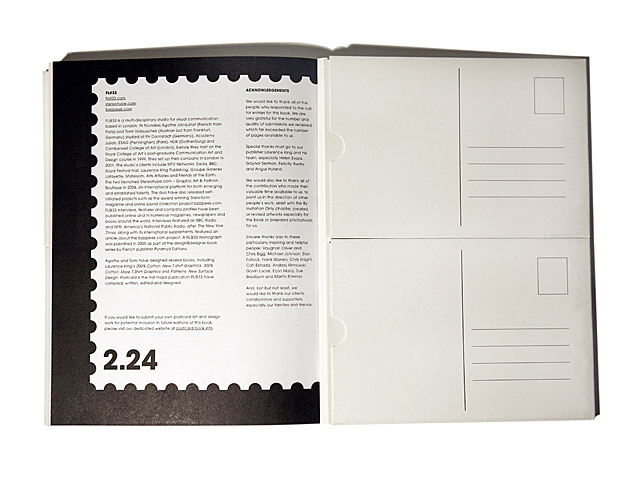 ___ The book features on 224 pages over 800 hand-picked postcards and postcard-related projects by over 130 artists, illustrators, photographers, designers, studios and collectives from all around the world, with emerging talents sitting alongside established artists. Features handmade artworks, limited edition sets and books, commercial promo cards, high-tech postcards and interactive online projects that successfully link the virtual with the physical world. See sample spreads and a list of stockists here. We also launched a dedicated FL@33-designed and built website – postcard-book.info – featuring details such as the complete list of contributors, previews of the original English and all foreign language editions. 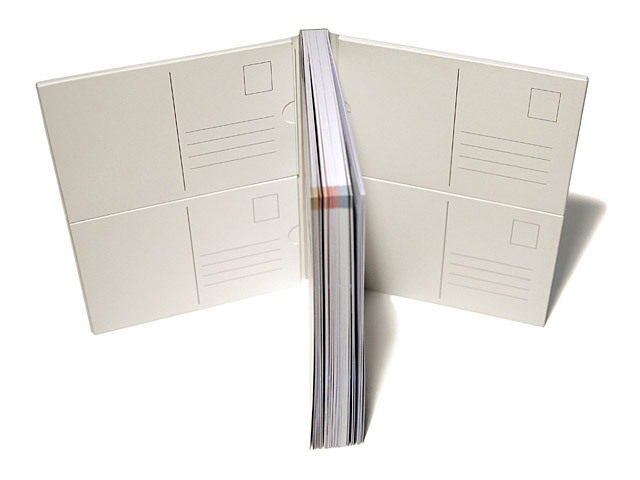 Previous FL@33-designed books for Laurence King Publishing included the internationally successful 200% Cotton – New T-Shirt Design (2004), its sequel 300% Cotton – More T-Shirt Design (2006), the best-selling Patterns – New Surface Design (2007/2012) and Cult Streetwear (2010/2011). ___ In addition to designing books FL@33 also conceived, compiled, wrote and designed books in collaboration with Laurence King Publishing. 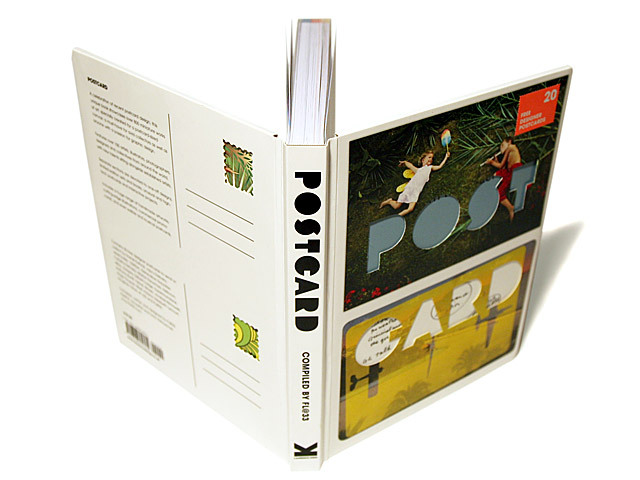 The first book was Postcard (2008, Available editions: English: Laurence King Publishing, German: DuMont, French: Pyramyd and Spanish: Gustavo Gili), followed by Made & Sold (2009) and more recently The 3D Type Book (2011). FL@33's Tomi Vollauschek designer in residence 2013 at MICA, Baltimore, MD, USA (lecture and workshop). January 30th, 2019 — Evening lecture by Tomi Vollauschek as part of a 5-day FL@33 design residency at ECV Lille (École de Communication Visuelle / School of Visual Communication), France. June 18th, 2018 — Our blank RCA Secret postcards just in for this year's exhibition and fundraiser in London. More info in our exhibitions section. See FL@33's previous RCA Secret postcards. February 27th, 2017 — Evening lecture by Tomi Vollauschek as part of a 5-day FL@33 design residency at ECV Bordeaux, France. November 30th, 2016 — It's official: ECV Bordeaux, design residency 2017 – FL@33 workshops and lecture. More info. July 1st, 2016 — Happy birthday FL@33 – we are celebrating our 15th studio anniversary! This a scan of a mini Polaroid showing FL@33 founders Agathe and Tomi in 2001 at the Royal College of Art's Master of Arts graduation ball at the Ministry of Sound club in London. February 27th, 2016 — Selected for inclusion: a total of eight previously unreleased FL@33 photographs were printed as picture postcards for Transmission: Photography & the Postcard – part of the group exhibition Transition: An Exhibition of Contemporary Photography. February 25th, 2016 — Group show Transition: An Exhibition of Contemporary Photography and a section of the show entitled Transmission: Photography & the Postcard – both feature FL@33 contributions. See a few previews here. Open until 3 April 2016. 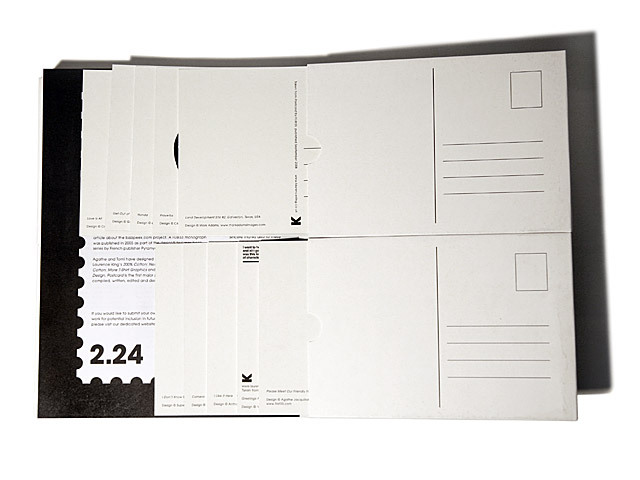 January 21st, 2016 — Our blank RCA Secret postcards just in for this year's fundraisers in London and Dubai. More info in our exhibitions section. See FL@33's previous RCA Secret postcards. 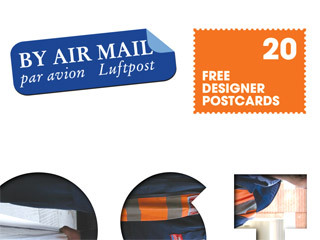 March 22nd, 2014 — The secrets revealed – including FL@33's six RCA Secret 2014 postcard contributions for this year's fund-raising sale and exhibition. 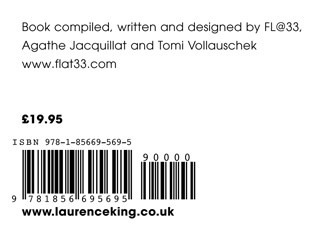 March 21st, 2013 — Two RCA Secret 2013 postcard contributions by FL@33's Tomi Vollauschek spotted on British ITV News tonight. FL@33 contributed a total of six cards and 2700 were selected to be displayed at this fund-raising exhibition. See ITV news stills here. November 29th, 2011 — RCA Secret 2011 postcard contribution by FL@33's Tomi Vollauschek spotted on Germany's TV channel ZDF.